This is part of a series offering my views on some problems with UK maths education. The first part looked at the state of affairs with regards to GCSE and PISA results, the second part looked at my attempt at a diagnosis, the third part looked at pre-existing maths education success stories, and the fourth part looked at how textbooks offer the largest potential to improve pedagogy across the nation. This post will look at the role of hard work. Take a look at the topmost teal line: that represents the average grade of Chinese students in the UK according to their wealth levels. As you’d expect, it has a similar trend to every other line – Chinese students who come from richer backgrounds tend to do better than those from poorer backgrounds. But now compare the lines: The most deprived 10% of Chinese students in the UK outperform the richest 10% of every single other ethnic group, save for Indians. That is staggering. Gladwell quickly and rightly disputes the claim that Asians have higher IQs – instead, he even cites James Flynn’s research claiming that ‘Asians’ IQ… have historically been slightly lower than whites’ IQs, meaning that their dominance in math has been in spite of their IQ, not because of it‘. Yet the fact that East Asians transplant their educational success even outside of their native countries means that the answer isn’t totally located in specific education systems, either: since it isn’t genetic, it must be something cultural. So what else can explain this dominance? There isn’t a problem in teaching or learning that someone somewhere hasn’t solved. We just need to find them and take some field notes. 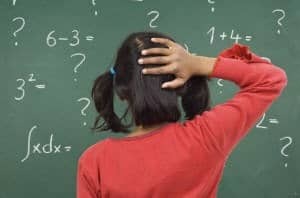 This is part of a series offering my opinion on some problems with UK maths education. The first part looked at the state of affairs with regards to GCSE and PISA results, and the second part looked at my attempt at a diagnosis. This post addresses where to find potential solutions. @HinTai_Ting thanks. If it was an easily solvable problem, we'd have cracked it years ago. But agree we shouldn't stop trying. This is true. After all, many agreed with my diagnosis and could identify with my experiences, but no-one offered any solutions. If the problem is widely recognized but there’s no readily acknowledged solution, then any solution must not be straightforward. But: it doesn’t mean that no solutions exist. In fact, I’m optimistic they are out there. Why? So, in Lemov’s spirit, this post will begin investigate: what education regions/systems/schools seem to have solved these problems with maths education? Following posts will then address: how do they do it? Do they address the UK-specific issues I identified in part 2? And how can we transfer these lessons to the UK, to our schools, to our classrooms?